Our life-size Rhino model looks absolutely superb, it makes an ideal statement piece for any safari theme and looks wonderful with its baby (JR 2249) beside it. 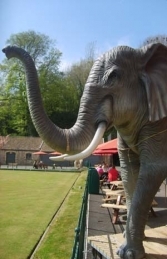 How about this as something different for your garden if you have enough room?! 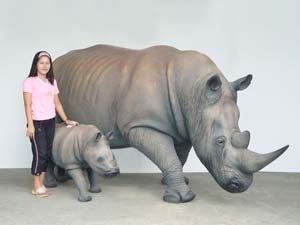 This mresin replica Rhino is an absolutely fantastic model and can be used in any Jungle or Safari themed areas in adventure golf courses, zoos and theme-parks, or to promote shops & businesses. 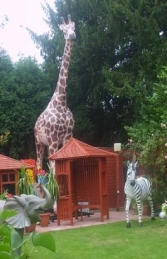 It would look fabulous in combination with our other life-size african safari animals or with our Baby Rhino model.